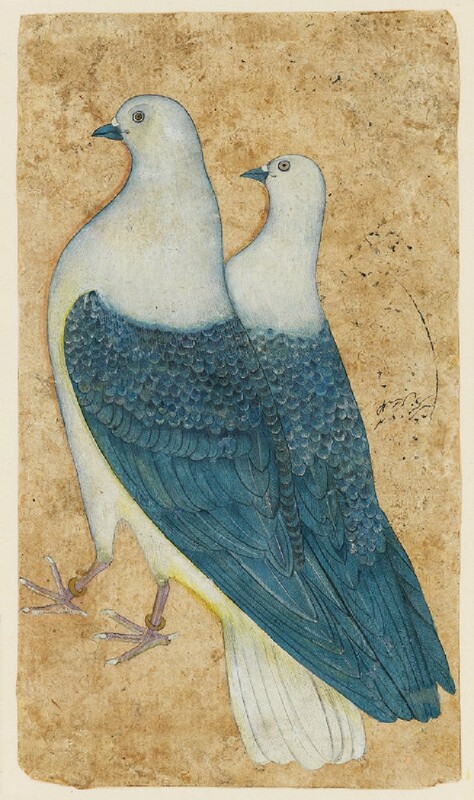 A pair of Imperial Pigeons is shown against a plain ground. The male bird has gold rings on its legs, suggesting that these are prized birds in imperial possession. 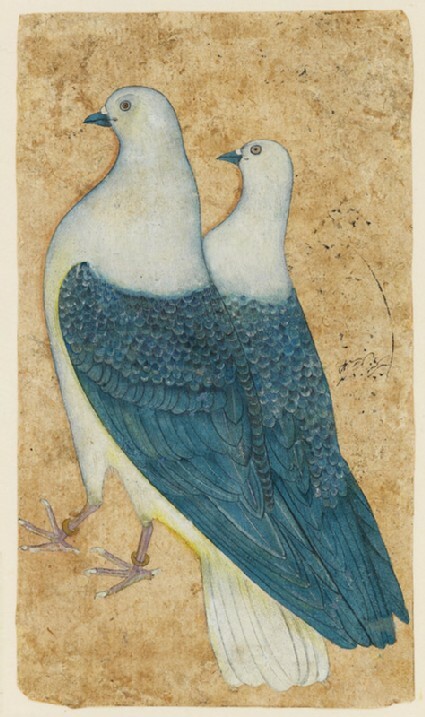 The sport of pigeon-flying (called ishq-bazi or ‘love play’) was a favourite Mughal pastime. Over twenty thousand pigeons were kept at Akbar’s court, of which five hundred were classified as khasa or élite birds.